This Peanut Butter Banana Smoothie is so simple with only 3 ingredients. It is filling and tastes like dessert but is actually quite healthy! There is something about a smoothie during the summer months that is so refreshing and delicious. A lot of my typical smoothies include super healthy ingredients like spinach, kale, almond milk, etc. Sometimes, I just want a simple, dessert tasting smoothie. That is what I created here. This smoothie is flavorful and delicious. My husband even really liked it and he is not a big fan of smoothies (hint: I told him it is a milkshake). 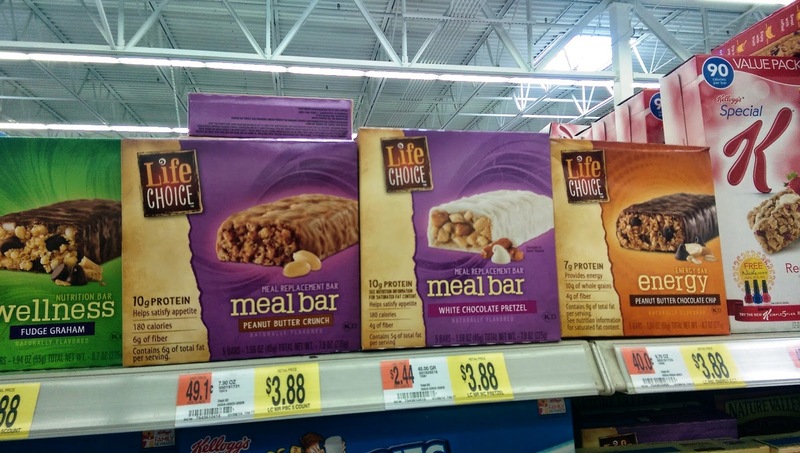 In this recipe, I incorporated Life Choice Meal Replacement Bars. These snack bars are 180 calories and are available in two flavors: peanut butter crunch and white chocolate pretzel. I decided to go with the peanut butter crunch bars for my smoothie. These bars are quite good on their own. When I look at a bar, I want it to generally be under 200 calories and have 10 grams of protein and 5 grams of fiber or more. This bar meets all three of these specifications. These are great on the go as well. I like to have a bar most mornings around 10 AM for a snack and these are great for that. They are filling and tasty. Also, they are a good choice in place of dessert. When I crave something like a candy bar, cookies or ice cream, choosing a bar like this often satisfies the craving and is a better option. 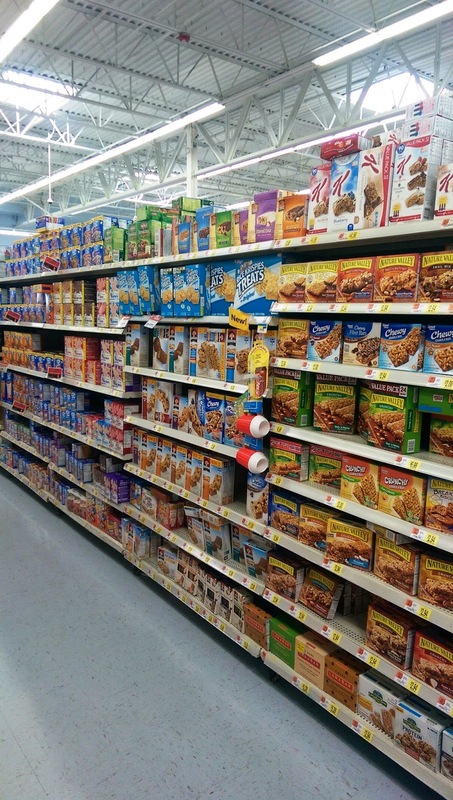 These bars are only available at Walmart and can be found in the cereal section. They are pretty affordable as well! For a 5 pack of bars, it cost $3.88. In most grocery stores, protein or snack bars at at least $1 each or more so this is a bargain. 1. In a blender, blend banana, milk and peanut butter together until smooth. This smoothie tastes like a peanut butter banana milkshake but is quite healthy for you. It is great as a snack or for a meal such as breakfast. It would also be great post-workout.